I got a job that needed me took me to Tuaran to snap some photo and video. I’m going to edit lots of photos and video at the moment. I am so happy with the outcome of the photos and the best is that the client has the same feelings too. The photos look so nice even before the post processing work. Would like to share it in this blog but the rules is, the client needs to see it first before hand. 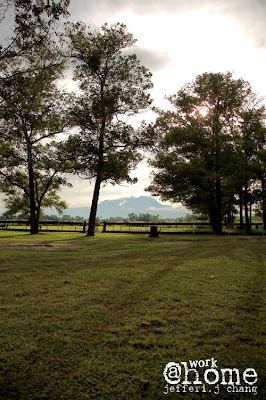 At the meanwhile, what i can show is the morning view of a ranch that took my breath away. I snapped some photos at the Gaya Streets Christmas Carnival. Might upload it later after Christmas or New Year, depends if i can squeeze out some time for that.